Link One took Life to the University of Wolverhampton Freshers' Fair this year. 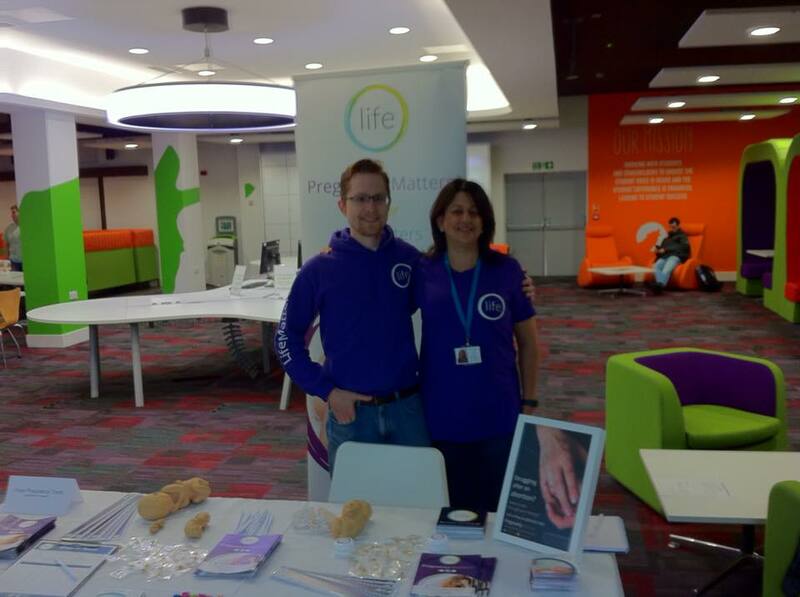 Michelle (Link One Manager) and James (Life Matters® Officer) spoke to more than 120 people. 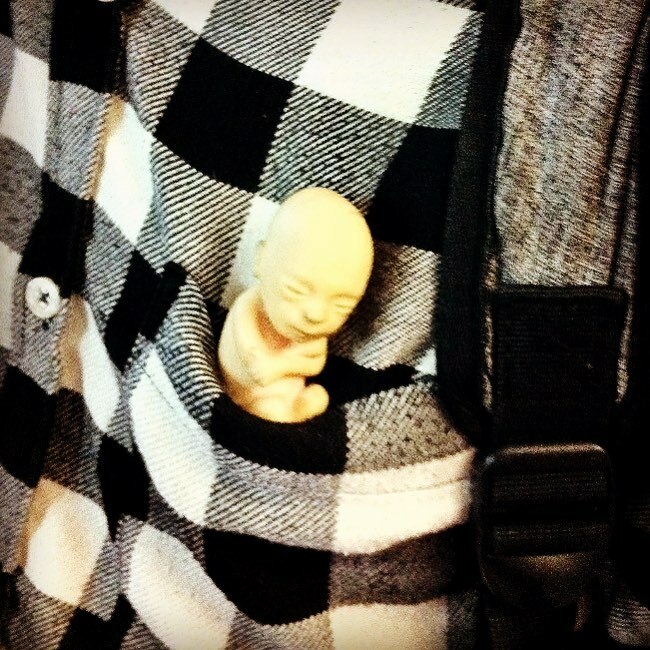 In the image above, you can see that one of our fetal models ended up in a student’s chest pocket! We also talked to a few students who had been personally affected by pregnancy loss, who appreciated our sensitive approach, and took details of our support services.